Almost 600 years ago an Venetian vessel sank by the treacherous reefs of North-Norway. After escaping the wreck and coming ashore, the crew discovered a landscape full of drying fish, bone-chilling cold and primitive buildings. This strange encounter would ultimately end up birthing a long lasting legacy. It is easy to think of Medieval Arctic Norway as a backwoods land, isolated from the rest of the civilized (and southern) world by sheer distance and the depth of the North-Atlantic Ocean. But actually, nothing could be farther from the truth. By the XVth century, North-Norway was connected with the wider European markets and society, mostly through the trade of dried Cod, the famous Tørrfisk. Most of this trade was managed by Bergen, on the west-coast of Norway and was later distributed throughout Northern-Europe via the famous Hanseatic league. 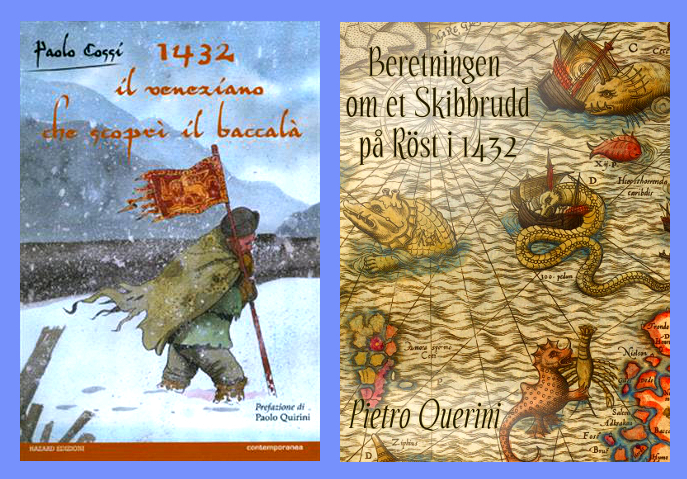 The tale of Pietro Querini was originally committed to writing and published in the XVIth Century. More recently, the same story became the subject of a comic book. However, for just about everyone living south of Bergen, North-Norway was more of a mysterious and odd land still isolated at the end of the world. This was probably the mental image of the Venetian merchant Pietro Querini when his ship, caught in violent storm, ended up wrecking on the skerries outside the island of Røst in the Lofoten archipelago. Querini was on his way to Flanders on a boat carrying 68 sailors but a violent storm led their ship much further North until the 11 survivors managed to set foot on North-Norwegian land in the cold month of January 1432. The fishing village of Røst in 2014. Left with nothing but a few planks and sails, the survivors managed to build a makeshift hut and survive on melted snow and fish. At some point the sailors were even able to locate a beached whale which nourished the crew for several days. Still, life was hard on the skerries and the stranded Venetians were disturbed by the constant snow-storms and the complete absence of the sun due to the Polar Night. After a month of hardship, the crew was finally rescued by a local fisherman who, according to Querini, experienced a mystical vision in his sleep, leading him to sail exactly where the sailors were barricaded. The 11 men were then taken to the village of Røst where they were taken in the good care of the local inhabitants. Querini and his crew spent a total of three months on the island. There, they discovered some queer sights such as turf-houses, nudist fishermen and more important of all, thousands of Tørrfisk, some of which were taken back to the Italian peninsula. In the years that followed, the Italian states began to import the dried Norwegian cod and soon developed an intimate relation with the fish which soon spread throughout the whole of southern Europe as well, resulting in, among other things, the invention of countless Bacalhau dishes. 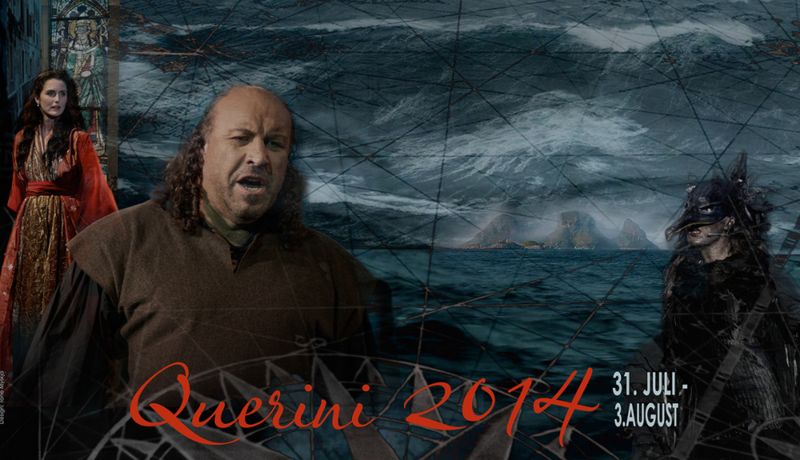 'Querini', performed in 2012 and 2014 is probably the world's first -and only- opera ever about dried fish. Nowadays, Italy is still the largest consumer of Norwegian Tørrfisk in the world and the community of Røst has never stopped celebrating the surprising visit of Querini and his crew. Today on the island one can admire a memorial stone, raised in 1932, exactly 500 years after the arrival of the Venetians. A café named Querini has also opened its doors to the local population and the tourists alike and in 2012 an Opera based on Querini’s adventure was performed. The overall feedback proved to be so positive that it was played once more in 2014. It is truly daunting to think that something as inconsequential as an oceanic storm would end up amounting to so much and that even today, 583 years after this improbable adventure, we would still tell the tale of Querini and his men who deserve to be remembered as some of the most important explorers of the Arctic of all time. (1) Pietro Querini (1908). Beretning om forliset og om oppholdet på Røst i Lofoten vinteren 1432. Amund Helland (trans. ), Nordlands Amt, bind II, i serien Norges Land og Folk, Vol II. (869 – 891). Kristiania: H. Aschehoug & Co. (W. Nygaard). (2) Di Chorado de Cardini, Antonio (1908) Beretning nedskrevet den 14de december af mig Antonio di Chorado de Cardini fra Firenze, efter hvad der er fortalt af hr. Cristofal, styrmand, og hr. Nicolo di Michiele, skriver paa det ulykkelige og forliste querinske skib, som gik under paa den lange reise til Flandern efter forfærdelige og uhørte ulykker, hvilket indtraf i aaret 1431. Amund Helland (trans. ), Nordlands Amt, bind II, i serien Norges Land og Folk, Vol II. (891 – 908). Kristiania: H. Aschehoug & Co. (W. Nygaard). 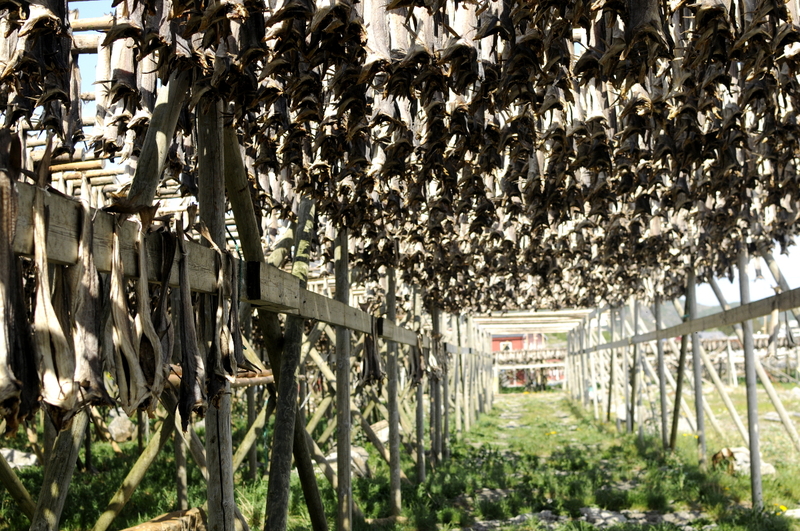 (I) Stockfish drying on the racks at Ballstad, Lofoten. Ⓒ Lyonel Perabo (2014). (II) Books written about Querini’s voyage. (III) A picture of Røst by Kent Wang.